When you’re out on the court, you need a solid pair of shoes on your feet. Fortunately, there are plenty of options out there. Unfortunately, it can be hard to sort out the good from the bad with all the choices you have. 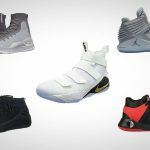 So, we’ve decided to compile a list of the best basketball shoes you can get in 2019. 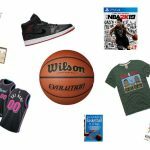 Whether you’re a quick guard or a hulking big man, there is a pair of shoes on this list for you. Most of them come in many different colorways to fit the style of your team or your personality. 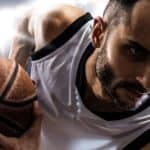 They are all recent models and are at the top of the basketball shoe industry. We’ll kick things off with a signature shoe from The Beard, Mr. James Harden. The Rockets’ guard has been going nuts on the court this season. Is it partially because he has such a great pair of shoes on? We can’t rule it out. The Harden Vol. 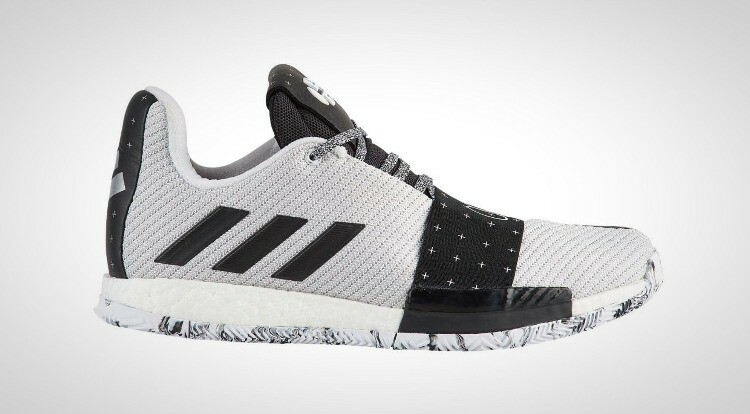 3 from Adidas is truly one of the best shoes on the market right now. It features Herringbone traction from toe to heel that bites the court well even when dirty. The shoe is cushioned with full length Boost that offers a very well-balanced ride. We love the transition and court feel that this shoe offers. It is just right. The material on this shoe is a mesh but is able to mimic leather almost perfectly. Better yet, there’s almost no break in process required. In terms of looks, the Harden 3 is relatively plain. However, its low-top profile is sleek and modern. The elastic band across the toe is really just for style, but it does add a unique visual element to an otherwise plain shoe. In the Eastern Conference, Kyrie Irving leads the Boston Celtics as one of the top teams in the league. The All-Star point guard is now on his fifth iteration of ultra-successful shoes. 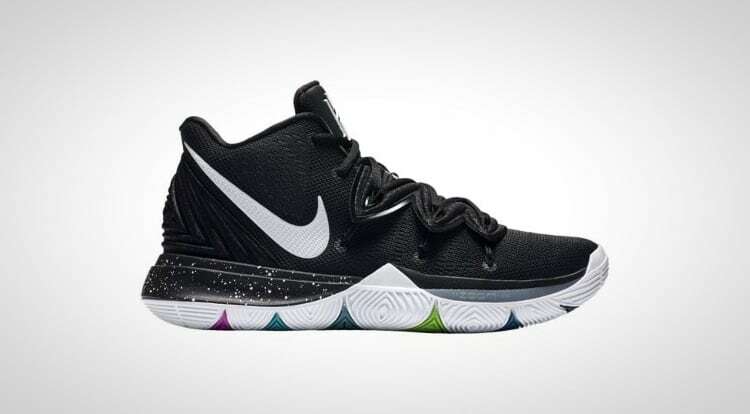 Known for their grip on the court and great performance, the Kyrie line is a great choice. The Kyrie 5 is certainly no different. The traction on this shoe is non-traditional to say the least. However, the multi-direction eye shapes do a great job of biting the hardwood. Even on the worst courts you’ll find yourself sticking with no problem. Speaking of eyes, it also features an “all seeing eye” hidden amongst the traction pattern. This, of course, is a nod to Kyrie’s eccentric personality. Meanwhile, this shoe continues to impress with cushion. It boasts Nike’s new Zoom Air Turbo in the toe with a Phylon midsole. Materially, this shoe features a strong mesh just like the Kyrie 4. It takes some breaking in but feels premium and is comfortable to wear. The basic colorway is again rather plain, but does have a pop of color from the bottom of the shoe. Here, part of the traction pattern is colored and thanks to an upward wrapping sole, you can see it from the sides as well as the bottom. Now it’s time for perhaps the strangest looking shoe of the bunch. For real, does this one come from the future? 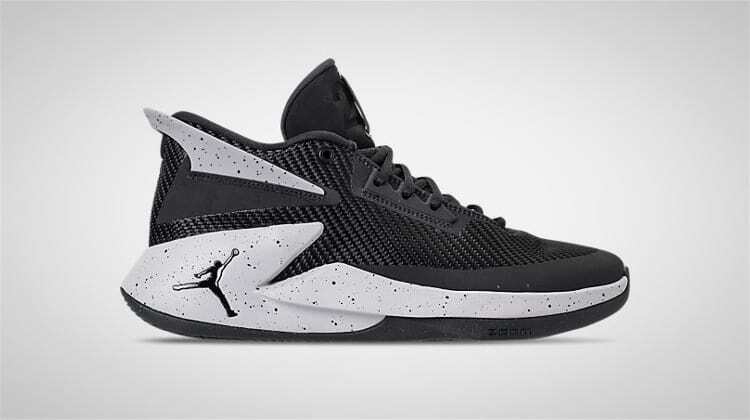 The Jordan Why Not Zero.1 is a geometric-looking shoe with sharp lines and a bold statement. Despite its unique look, this shoe performs quite nicely on the court. 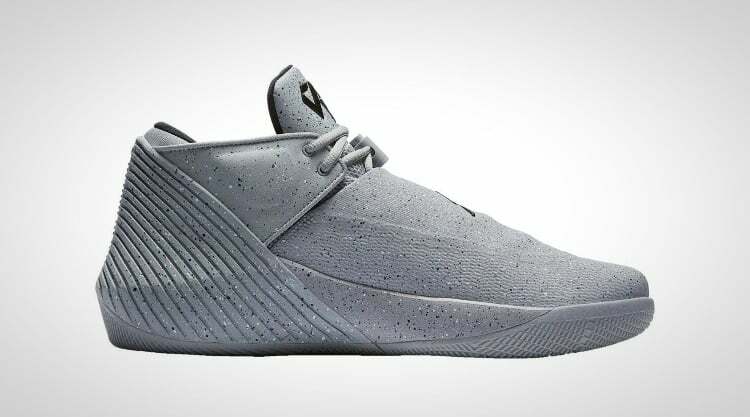 Even more impressive is that this shoe is the first in Russell Westbrook’s signature line. Jordan really hit the nail on the head with this shoe. The Why Not Zero.1 features a blend of diagonal and radial traction that gives you grip no matter which direction you’re moving. It’s heel-to-toe pattern means you don’t have to worry about slipping even if the court surface isn’t ideal. When it comes to fit, you won’t find a better shoe than this one. The Why Not Zero.1 fits like a glove. From the moment you slide it on, your foot is sucked in and securely cradled into the shoe in all areas. From a fit standpoint, it is without a rival. For those who don’t know, Russell Westbrook is a bit of a perfectionist. Luckily for us, that trait came out in the design process of his signature shoe. Now, we can all get a piece of the action and hoop in these terrific shoes. If you’re looking for one that will support your foot, feel great, and look futuristically awesome, then the Why Not Zero.1 is your soulmate. We go from a signature shoe line in its infancy to one that has been reigning supreme for over a decade. And yes, we mean reigning in terms of kinghood. Say hello to the Lebron 16. You’d expect Nike to give nothing less than 110% for one of the world’s greatest athletes. That is exactly what they did. Featuring new technology and materials, the Lebron 16 is one of the best yet in the King’s line. The deep spaced pattern uses slight angles to push dust completely out of the picture. Out of the box you’ll have an incredible traction performer that needs no breaking in. And, like we said, dust is something you can forget about. The wide pattern makes it almost impossible for these shoes to need wiping. You can use them for both in and outdoor play, which is a plus for some players. 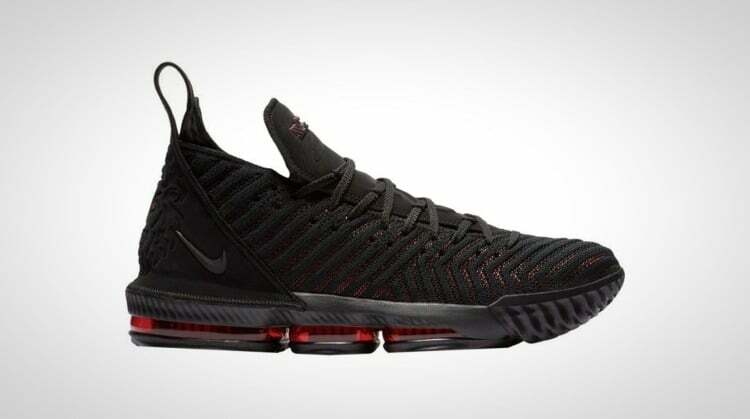 A great new feature in the Lebron 16 is Nike’s Battleknit 2.0. It also uses another material known as nubuck to round things out. The Battleknit is an ultra-strong material that provides an ideal balance of support and flexibility. Paired with the classy looking nubuck along the heel and you’ve got yourself a top-notch shoe. Thanks to Nike’s dedication and Lebron’s greatness, this is one of the best shoes you can get your feet into. We usually think of Jordan’s as a premium shoe that comes with a premium price tag. Fortunately, this isn’t always the case. At least the price tag part. The new Jordan Fly Lockdown delivers signature performance at a fraction of the cost of other Jordan models. Traction on this shoe performs nothing like a budget pattern. 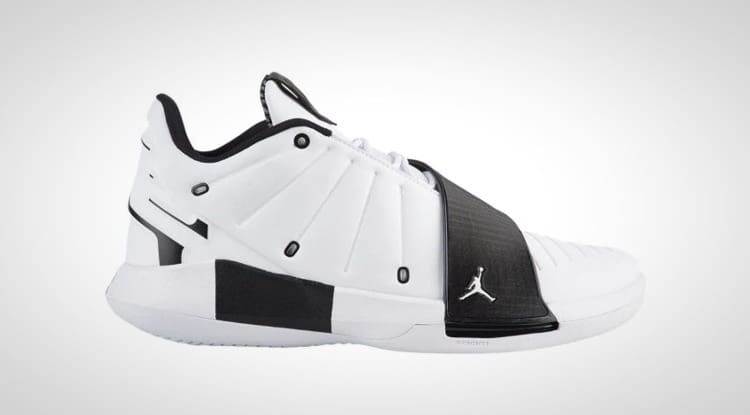 Instead, Jordan fans will notice the use of both herringbone and circles—two patterns that the company likes to implement. The spacing is excellent and does a great job repelling dirt and dust while maintaining grip. Cushion is provided by Zoom Air units and an injected Phylon midsole. These have been used religiously in shoes for decades, but the set-up works. It provides a comfortably, bouncy ride. Overall, the Fly Lockdown delivers great performance from a budget shoe. You’ll never notice that you saved piles of money at the store when you’re playing in these shoes. It may not be the best choice for big men because of a lacking ankle support system but it is perfect for guards and lighter forwards. Jordans have had a rough go of things in the past few models. From poor traction to performance that isn’t worth the price, many were fearing that the company was losing sight of its values as a premium footwear maker. 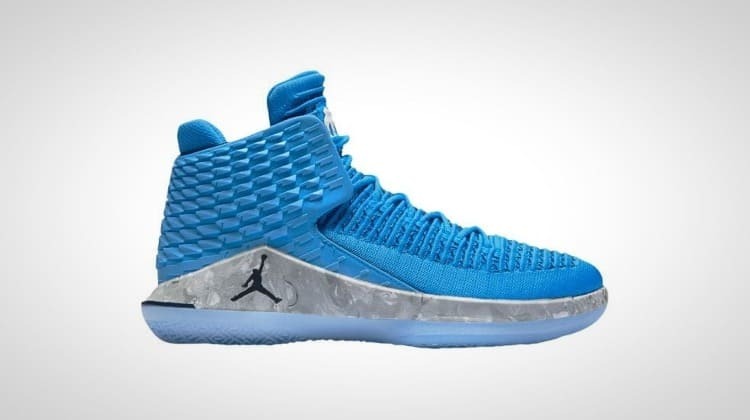 Fortunately, the Jordan XXXII has resurrected the struggling brand and is a great shoe in every aspect. In terms of traction, the Jordan XXXII is a huge step in the right direction. It grips the court really well and delivers a tacky experience that is great for making quick stops and directional cuts. Meanwhile, a split heel and forefoot Zoom Air cushioning system gives you bounce. However, because it is unlocked, the bounce is under control and springs in to action when necessary while remaining comfortably out of mind when not. The material used for the Jordan XXXII is a flexible Flyknit that moves well with the foot. It also let Nike not use any glue or TPU strands that can be uncomfortable. A synthetic leather or suede heel area adds support and durability to the back of the shoe. For a shoe line that has been struggling, the Jordan XXXII is just what the doctor ordered. 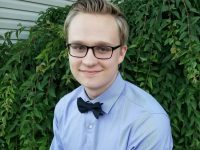 Wait, no, not the doctor. Wrong player. Just what MJ ordered. Under Armour isn’t a fan favorite when it comes to basketball shoes. That doesn’t stop them from putting out high quality shoes that stand out from the competition. Fortunately, that’s exactly what the HOVR Havoc is. 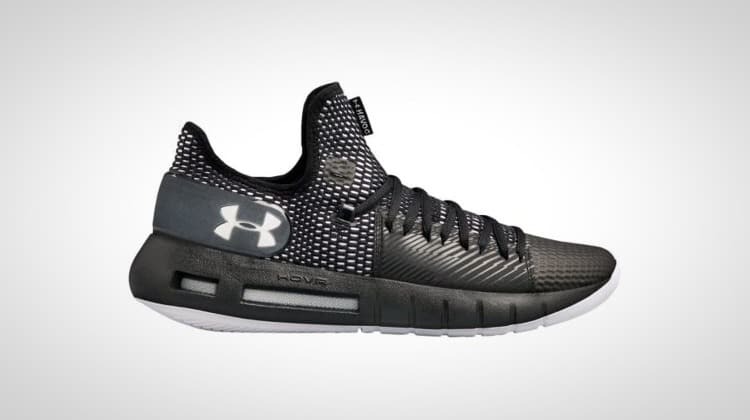 UA’s trademark HOVR cushioning has finally made its way into a basketball shoe and boy, do we love it. The unique material was originally used in their running shoes, but its springy yet stable nature meant that it was only a matter of time before it took to the hardwood. It is here now, and the balanced ride you get from it is unlike any other. For a low-top shoe, the HOVR Havoc offers a great deal of support. It features a wide flat base coupled with an exaggerated midsole/outsole that helps promote natural movement and mobility. Best yet, since this is our first “off-brand” shoe (though it really isn’t) the price tag is greatly affordable. 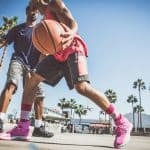 Compared to other shoes on this list, at just over $100, the HOVR Havoc is a great shoe for new players or ballers on a budget. With everything you need to play well and play safe, this shoe packs a punch. 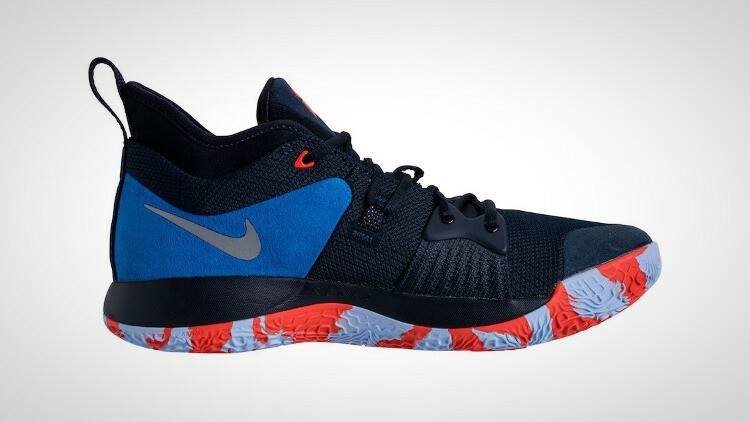 We’re back on the All-Star signature shoe train with the newest from forward Paul George. The PG 1 was already a pretty good shoe. However, the PG 2 upgrades it in almost every way possible. The new features make for an even more exciting shoe to play in. The traction pattern is utterly insane. Literally. It is practically impossible to tell what is going on. Yet, despite this, it works and works well. The wide grooves make dust a non-factor while the crazy pattern grips the floor in all directions. Upgrade cushion is also a major plus. Lightweight Phylon is used and feels much more stable and refined. No more clunking around. The body is built with a thick, strong mesh that provides great fit and support after a short break-in period. 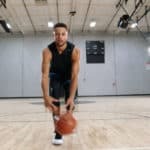 This is a great feature for bigger players who need more support around the ankle. PUMA? If you think you’re reading something wrong in this article, we don’t blame you. 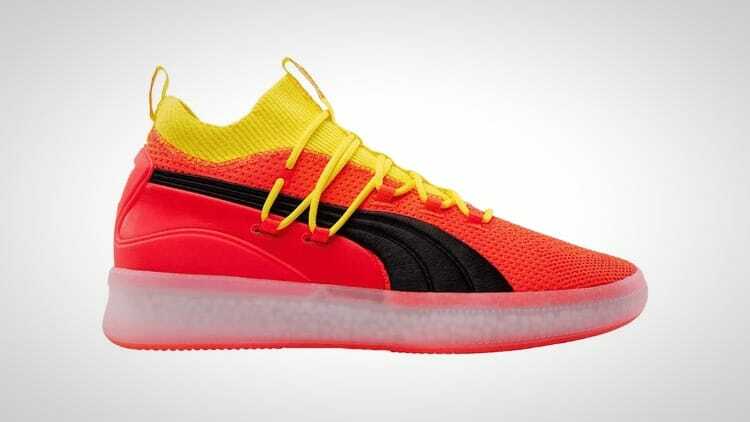 It’s been over two decades since PUMA put a pair of sneakers onto the basketball court. But now they are back and are making a statement. The unique traction pattern on this shoe pays homage to the original inverted pattern on the original PUMA Clyde. It bites the court well and you shouldn’t experience issues with slipping. The shoe uses two types of cushioning that, paired together, add up to awesome impact protection. However, there is also abundant court feel that lets you keep track of every movement. It offers both protection and feel, something that not many shoes manage to do. The laces on this shoe wrap high up onto the neck, making for a secure lockdown and fit. There’s also a lot of padding under the tongue area to accommodate the unique lacing pattern. For being 20 years behind, PUMA certainly is not lacking. Their first shoe back in the game is a great one and we are fans. We’ll end things with another signature shoe that is making a long run. This one belongs to Rocket’s guard Chris Paul. His eleventh shoe is very well rounded (just like its namesake) and offers great performance for players on the court. Traction is standard herringbone that grips the court well in all environments. There is plenty to go around so dust shouldn’t be a problem. A Zoom Air unit is laid directly into a semi-firm Phylon midsole in both the forefoot and heel. This combination makes for a quick ride that also offers a good amount of cushion. Some colorways of the CP3.XI feature a synthetic leather toe and some don’t. This feature can really stiffen the shoe and contribute to some foot fatigue, so we’d suggest avoiding it if possible. Compared to the last couple of CP3’s, the eleventh is a good step in the right direction. With solid traction, cushion, and support, you’ll be left satisfied taking the court in this shoe. So, what do you think? What is your favorite basketball shoe for 2019? Let us know in the comments below. 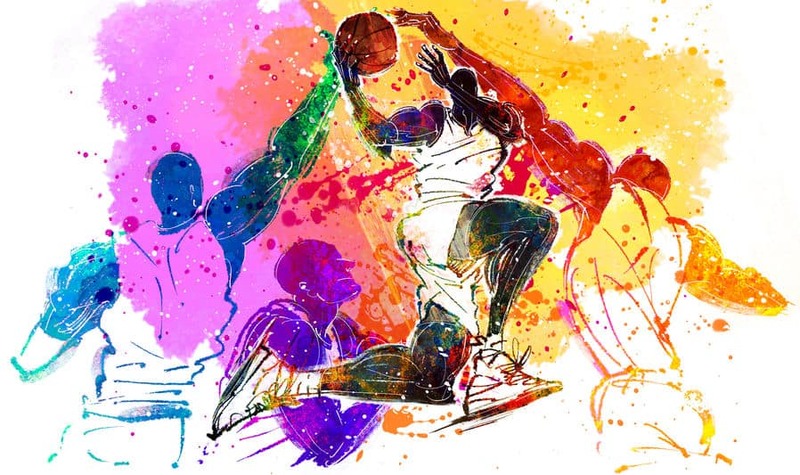 We love hearing your input and finding out which shoes you rock on the court.